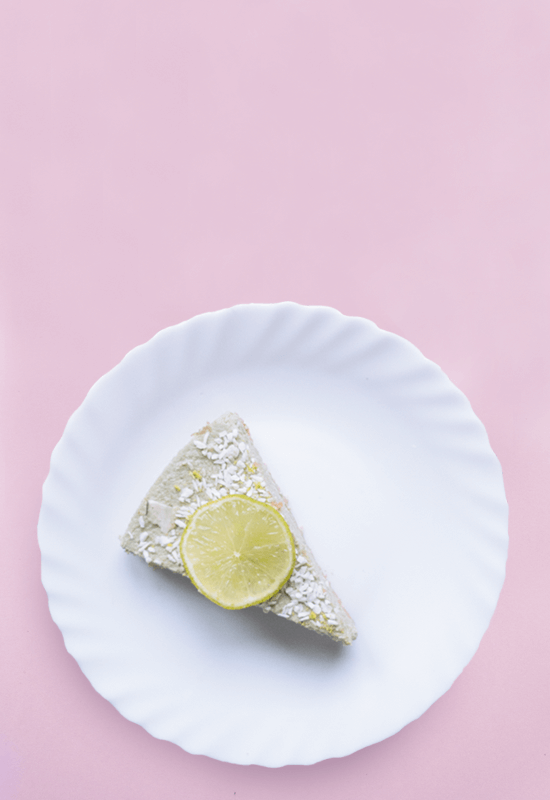 This raw sugar-free coconut lime cheesecake is one of my current summer favorites. 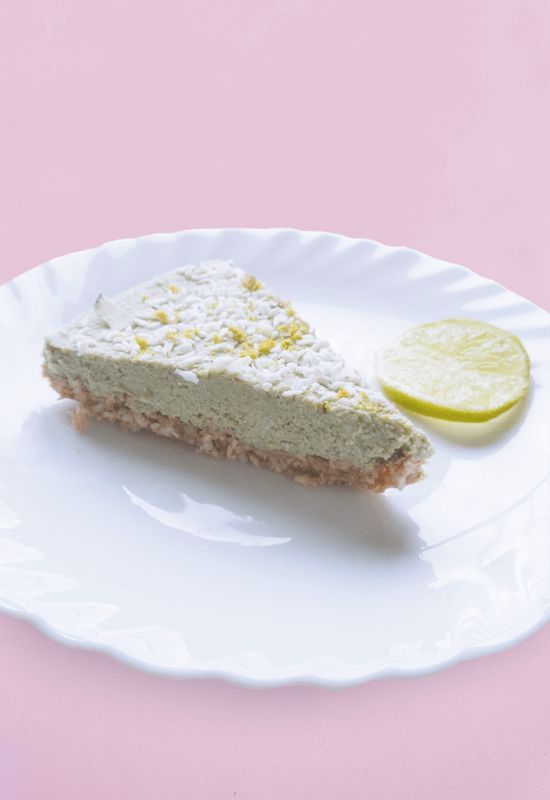 The combination of zesty lime with sweet coconut and creamy cashew filling makes a perfect cooling dessert for these hot summer days. It has just the right amount of sweetness and a nice crust from cashews and walnuts. Instead of using maple syrup which I usually do, I used date paste in this recipe. Dates are a bit lower on the glycemic index and are packed with nutrients. They add natural sweetness without being too dominant in taste. In some recipes you can actually really taste them, but they blended perfectly with this raw vegan cheesecake. You probably know that I have a thing for everything that’s both delicious and healthy. This dessert is no exception to that! 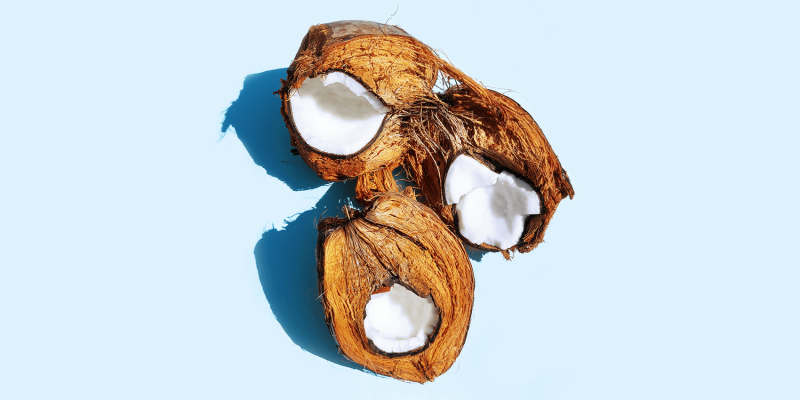 Coconut: healthy fats, fiber, iron. Cashews and walnuts: protein, magnesium, iron, vitamin B6, omega 3. Spirulina: protein, iron, magnesium, calcium, potassium, vitamins A and C.
I’ll have another piece. Or two. The date paste I use is a big chunk that I buy at a local Turkish store. It’s more compressed and concentrated than homemade date paste which is made by soaking the dates in water and then blending them. It’s more like a cream that can be scooped out, whilst the one I use needs to be cut off. You can also use homemade date paste, but you will just need more of it to reach the same amount of sweetness as with the packaged date paste. 1. Soak the cashews overnight. To make it easier separate them in different bowls: one for the crust and the other for the filling. 2. Put the can of coconut milk in the fridge overnight. This will help separate the creamy part from the liquid. Rinse, drain and dab the cashews to make sure they are dry. Blend the cashews for the crust in a food processor with the walnuts, date paste, shredded coconut, coconut oil and Himalayan salt. Pour the mixture in a cake form with parchment paper and press it firmly. Mix the cashews with the lime juice, lime zest, date paste and spirulina. Take the coconut milk out of the fridge and scoop out the creamy part. Keep the liquid in the bottom separate, you won’t need it for this recipe, but you can use it in a smoothie. Add the coconut cream to the food processor and mix everything again. Taste to see if the sweetness is good for you, otherwise add more date paste. Once everything is mixed well, add the coconut oil and mix again. Take the cake form with the crust out of the freezer and pour the filling over it. 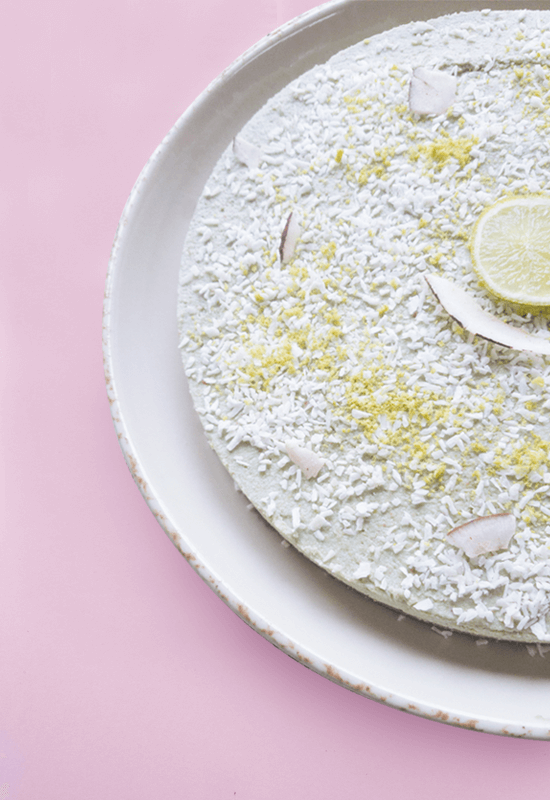 Garnish with shredded coconut and lime zest from organic limes. Put the cheesecake back into the freezer and let it sit for 2-3 hours. Let it defrost for half an hour before serving it and store the rest of the cheesecake in the freezer. 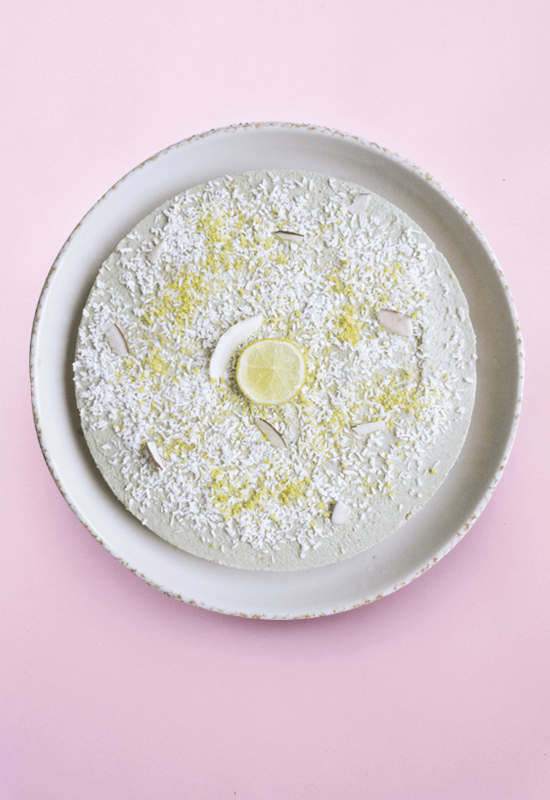 Have you tried making this raw sugar-free coconut lime cheesecake? Tag me on Instagram so I can see how it came out!